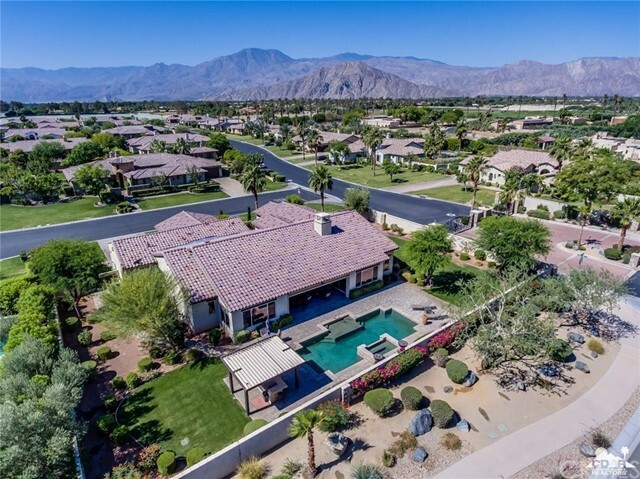 All Indio homes currently listed for sale in Indio as of 04/19/2019 are shown below. You can change the search criteria at any time by pressing the 'Change Search' button below. 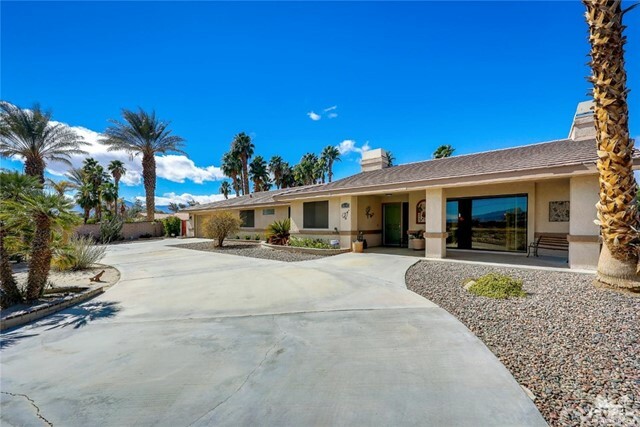 If you have any questions or you would like more information about any Indio homes for sale or other Indio real estate, please contact us and one of our knowledgeable Indio REALTORS® would be pleased to assist you. "Great opportunity to buy a 3 bedroom/3 bathroom house with a barn and apartment. 39 acres in the immediate path of growth. Adjacent to Espana, a 471 home development and west of 820 DR Horton's Talavera. Also across from Shadow Hills High School & Desert Ridge Middle School." "Welcome to ShadowLake Estates, the deserts only private residential water recreation lake & community only 20 min from Palm Springs! This Lakefront, Old World designed home sits on almost 3/4 Acre with 150 ft. of Beachfront! Designed for a fun, casual lifestyle this home offers: a great room, a wonderful kitchen, 4 bedrooms and a loft that is being used as an office. There is also a 5-car garage, providing plenty of room for cars and toys! The outdoor area includes: covered patio area with a private spa, a fireplace, built-in BBQ, & TV ~ all looking south across the lake! One of the guest suites offers a large view deck and a private entry. ShadowLake is a state-of-the-art 46-acre lake offering water skiing, boating, sailing and fishing. Each home comes complete with a large, luxury boat dock with a cover, an electric boat lift, and your own private sandy beach." "This is a Steal of a DEAL! 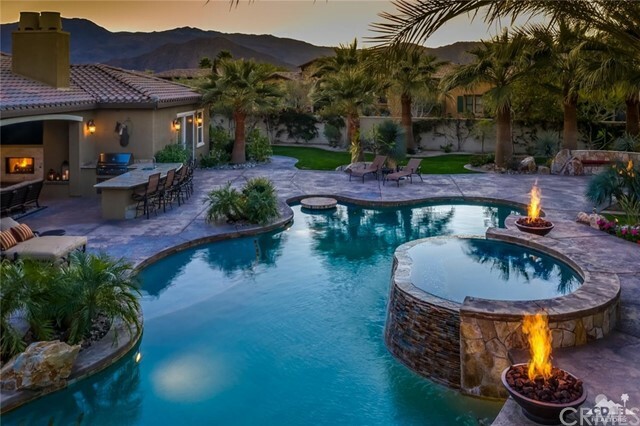 ShadowLake Estates is a water ski/ sport lake, luxury home community only 20min from Palm Springs w/ 360 days of fun in the Sunshine! Imagine a lake front Luxury property w/ private beach & your own private boat dock and lift! That is too good to be true. Check out the water views from this 5 (OVERSIZED) bedroom home w/ Open concept Living & Kitchen area, beautiful unobstructed view of the Lake & Mountains as there are no homes built across the lake. This home has RV parking and a pull through extended 3 car garage plenty of room to store the TOYS! Awesome sunrise & sunsets from your covered outdoor patio or right from your private boat dock! ShadowLake Estates - an active 42 acre water ski & sport lake w/2 slalom water ski runs. 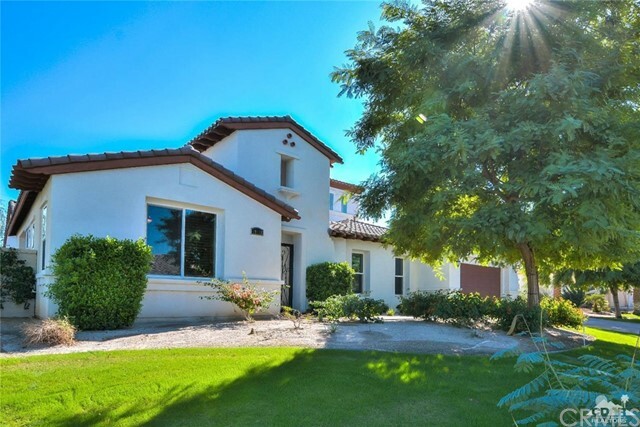 ShadowLake is 20 min to El Paseo, 3 min to Landmark Golf, 5 min from Polo Fields, 10 min to PGA West, 7 min to Bermuda Dunes or Thermal Private airports, 21 min to Palm Springs. Fish, Swim, Ski, Paddle and Relax at ShadowLake!" 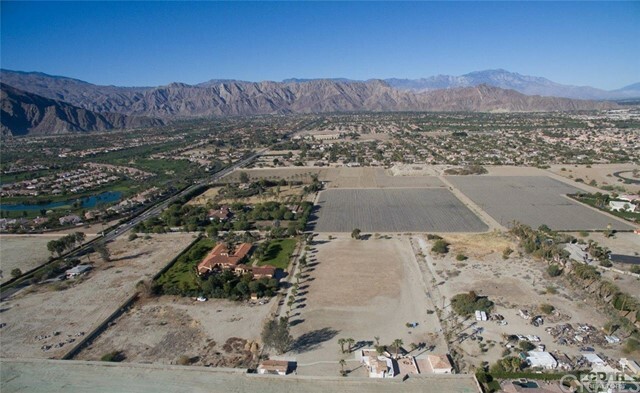 "4.7 Acre property that is zoned Ranch Estate. Can potentially be subdivided into 1 acre lots. The guest house has been transformed into an operating kennel business but can be removed and restored to it's original condition or can remain operating with cash flow to the buyer." "This one of a kind highly upgraded home in Madison Estates sits on the largest lot & is one of the largest homes. A pavered circular drive, stoned tower w/iron gates lead into a courtyard w/water feature & fire pit. Over 5,500sqft. of open living space include 5bd, 6ba, work out room, media room & formal dining room. The large open great room has a fire place, custom media niche, 80'' TV, surround sound w/speakers, crown molding and a bar w/beverage refrigerator. The expansive gourmet kitchen has rich wood cabinetry, beautiful granite, stainless steel appliances, dual sinks, 2 wine refrigerators, pantry, built in TV, and an enormous island that seats 10. The Master suite is amazing with custom built-ins, fireplace, large ensuite & a walk-in closet complete w/custom built-ins. The rear yard is complete with a salt water pool, spa, BBQ, fire bowls, fire pit, outdoor heaters, misters, lounging area with fireplace and TV. 4 car garage has A/C, built-ins & epoxy floors. Truly a must see!" 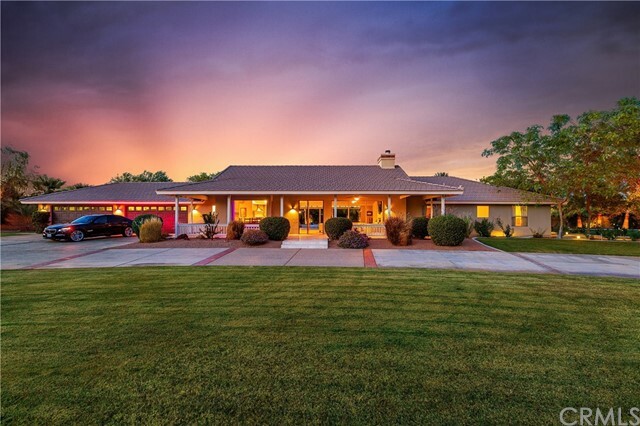 "GORGEOUS 4 BEDROOM, 3.5 BATH DESERT PARADISE ON A MASSIVE 1.33 ACRE LOT. PULL INTO THE PRIVATE AUTOMATIC GATE AND PREPARE YOURSELF TO EXPERIENCE TRUE PRIVACY AND LUXURY. HOME FEATURES LARGE PULL THROUGH DRIVEWAY ACCOMPANIED BY AN EVEN LARGER PRIVATE FRONT YARD WITH TALL TREES ADDING EXTRA PRIVACY TO THE ALREADY ENCLOSED PROPERTY. THE ANTERIOR OF THE HOME CONSIST OF A BASKETBALL COURT, 4 CAR GARAGE AND PLENTY OF SPACE FOR RV PARKING IF DESIRED. ENTER THE PROPERTY THROUGH THE GORGEOUS CUSTOM DOORS AND STEP INTO YOUR DREAM HOME. THE OPEN FLOOR PLAN SHOWS A SPACIOUS LIVING AREA, KITCHEN AND ENTERTAINING AREA. 4 LARGE BEDROOMS GIVES OCCUPANTS A COMFORTABLE PRIVATE EXPERIENCE. ONCE YOU'VE ENJOYED YOUR TIME IN THE LUXURIOUS INTERIOR, THE BACKYARD OF THE PROPERTY WILL BLOW YOU AWAY. MASSIVE SLIDING GLASS DOORS LOCATED IN THE LIVING AREA WILL BE YOUR PORTAL TO AN OUTDOOR OASIS. ENJOY AN OUTDOOR BAR, POOL, SPA, CABANA'S, GOLF PITCHING GREEN AND LARGE GRASSY AREA IN THE PLEASANT DESERT CLIMATE. AT NIGHT THE TOWERING PALM TREES SURROUNDING THE PROPERTY WILL BE ILLUMINATED BY RADIANT LIGHTING. HOME IS CONVENIENTLY LOCATED TO NEARBY SHOPPING, GOLF, POLO FIELDS AND COUNTLESS ACTIVITIES." "Five lux ensuite bedrooms including huge attached casita. Six bathrooms counting guest half bath. Pictures are worth a thousand words! No expense has been spared on the upgrades...inside and out...on this home...better than new! The outdoor entertaining is incredible with custom pool/spa; built in BBQ kitchen and outdoor dining. Bi-fold doors open great room to entire outdoor entertaining. Great room features a huge built in television and sound system. If you have a lot of family or friends or just like to live large this is the home for you! Over half an acre of custom landscaping. Three car air conditioned garage. All furnished to the nines. Formal dining. An extra private patio. Plus there is a stunning South mountain view from the pool area. And all of this within walking distance of the Polo Grounds. Minutes from Old Town, big box stores, grocery, etc. Interior lot...no traffic noise. The list goes on. If quality is important to you...this is the house." "Beautiful views of the Santa Rosa Mountains from this secluded equestrian property, just off Ave 50. Equestrian zoning (CEIR-2) allows up to 13 horses. Subdivide into two parcels for additional horses. Two bedroom 840+ SF house, including enclosed patio, and detached 830+ SF three-car garage. Close proximity and easy access to the nearby polo and music festivals. Development potential with increased density. Newer 600' well on site. Shown by appointment only. APN 602-080-015." "This amazing home located behind the gates of Madison Estates has nearly 4,600 square feet of open living space and sits on over a half acre lot. With 4 bedrooms, 5 bathrooms and a bonus room, this fantastic home with a soft contemporary feel has plenty of upgrades. The great room with a built-in media niche has an expansive accordion glass door making the transition from inside to outside effortless. A gourmet kitchen with rich wood cabinetry, granite slab counters, stainless steel appliances, wine refrigerators and walk-in pantry will impress any chef. The Master suite with rear patio access is massive, and has an equally impressive Master bath with dual sinks, large shower, soaking tub and a walk-in closet with owner's lock off for personals. The outdoor area is an entertainers delight, with lounging area, TV, fireplace, large pool, with tanning shelf and spa, complete with built-in BBQ and misters. Close to the world famous Polo Grounds host to Coachella Fest and StagCoach." "Highly upgraded plan 3 at Madison Estates! Enter the gated courtyard to find a West facing dipping pool/swim spa. Enter the great room with upgraded cabinetry and lighting opens to the gourmet kitchen with oversized island and plenty of seating for entertaining. The master suite features a spa like master bath with dual head shower and large soaking tub, as well as a more than ample walk in closet. The home also features 4 ensuite guest rooms, perfect for guests or a growing family! The entertainers backyard has more than ample space to soak up the sun, or hide away in the shade with the power retractable awnings as well as a lit patio cover with built in BBQ. Mature landscaping around the property creates a tropical oasis unlike any other! Don't miss this incredible opportunity to own a home better than new at the Madison Estates!" 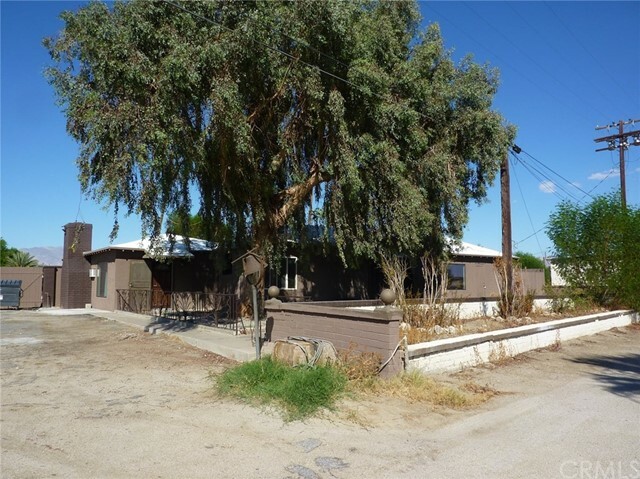 "Great opportunity to own a property that has it all, this is a rare find. Enter the main 1,898 sf home with 3 bed and 2.5 baths and you are welcomed by beautiful tile flooring and a large family area with fireplace and formal dining area. Adjacent is a gourmet chefs kitchen w/ custom sienna rope cabinetry, granite counters, stainless appliances and breakfast nook. The expansive patio has been enclosed and offers a separate studio enclosure. Attached boat size garage to the main house. The 1,550 sf manufactured (1995 Fleetwood) home casita w/ private driveway could be rented at $1,425/m and is sited on a concrete slab with its own septic system. The 1,800 sf shop offers 2 12x10 doors, 5'' fiber slab, 8 skylights, grandfathered in so you couldn't build this on another property. Next to the shop is a 18x35 14 ft high metal RV storage cover, this home is Ideal for a business w/ lots of equipment or a family with toys. The owned propane tanks are included in the sale. Truly a must see"
"Best Kept Secret in the Valley, within walking distance of the Polo Grounds, Coachella Festival & Stagecoach! Stunning craftsmanship with the finest finishes is what you will find in this beautiful Stonefield Estates home. This former model home offers close to 4,000 square feet of open living space including a chef's style gourmet kitchen, master bedroom retreat, flex space you can use for a formal dining area or media room & a spacious guest casita. Upgrades include custom window treatments, plantation shutters, stone facade on the entrance, outdoor gazebo & custom paver walkway. This beautiful home offers the highest of finishes with Wolf Range & Microwave, Asko Dishwasher & SubZero Fridge. Also featuring high ceilings throughout with real wood beams in the great room & 3 car garage. The best of indoor & outdoor living with a lot size of 1/2 acre. 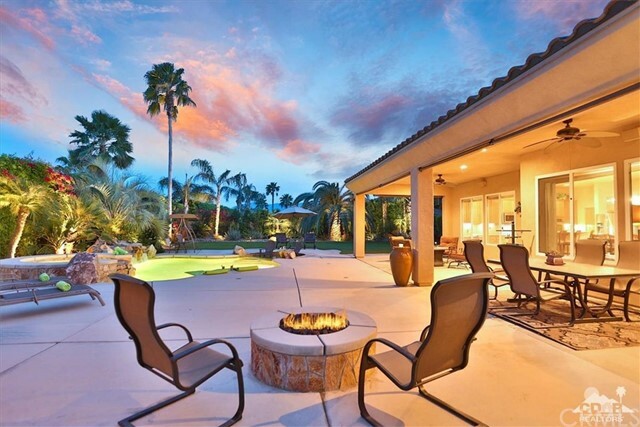 You will enjoy entertaining in your California Patio area with custom dropdown screen & majestic mountain views. Entertainers Delight!" "This highly customized home, with 4,000+ sf has achieved that lovely Tuscan flair. With 4 bds/ 3.5 ba, this home features high end finishes from the minute you enter. From the exposed beam ceilings to the faux finished walls, brick arched doorways & hallways, this home has so much to offer. Featuring a chef's kitchen with unique unpolished chisel edged granite countertops, 2 stainless steel ovens, 6 burner gas stove, contrasting rich wood cabinets with antique finish, & a large center island with extra sink. Located off the living area is a wine closet/bar with beautiful scrolled iron gates. The large great room with stacked stone fireplace is open to kitchen & dining areas & features 5 sets of French doors opening to the spectacular backyard which features a large covered loggia, salt water pool with fire pots & built in stools, spa, misting system, & a Palapa w/BBQ, 5 burner stove, 2 sinks, fridge & dining area w/ fireplace. This home is beyond anything you've seen in DRE"
"Come take a look at this beautiful 4 bedroom 4 bath home in Madison Estates. Sitting on just over a half acre, this home has enough room for everyone. A stone throw from the polo fields and the festivals, this one is sure to be a hit for everyone! With over $170k in builder upgrades this in one not to miss! Come take a look today! House is offered fully furnished!" "Exceptional luxury estate home on 1/2 acre site in Madison Estates built by original builder with refined exteriors, classic interiors and gourmet kitchen + many upgrades.This 4 bedroom w/detached casita also features a large bonus room w/bathroom on second floor which could be used as an additional master bedroom with balcony.Each bedroom has it's own bathroom w/custom tile work.Expansive great room features fireplace,12 ft ceilings with large glass doors that open to covered patio area.Designer gourmet kitchen w/ovesized island w/bar seating is adjacent to a large formal dining area. Breezeway between the kitchen and the casita offers cozy sitting area with fireplace.The resort style rear yard features large pool with tanning ledge plus jacuzzi. Great built-in BBQ center for entertaining!Private gated courtyard provides beautiful entrance to this home as well as separate entrance to the casita!Amazing location for all of the music festivals, polo, shopping & entertainment. A must see"
"Gorgeous, fully furnished 6 bedroom home with the highest quality custom finishes throughout. South facing pool and spa, high ceilings, and large windows that let the sunshine in. Gourmet kitchen has slab granite counters, double islands, 5-burner gas cooktop, double ovens, double sinks, microwave & dishwasher. The stunning formal dining room has a butler's pantry separating it from the kitchen. Great room amenities include a beautiful gas fireplace and beautiful built-in cabinetry. Outdoor living is like being in your own private resort; South Facing saltwater pool & spa with tanning shelf, BBQ, and plenty of room to relax. 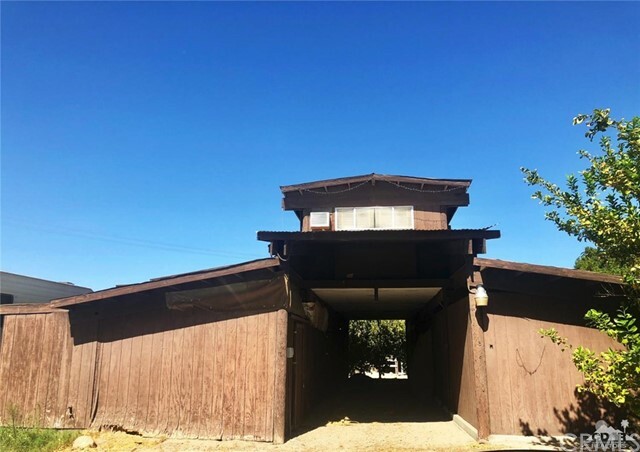 If you are not familiar with this address, please click on the map - excellent location and within walking distance to the Empire Polo Fields for equestrian activities and Coachella music festivals. Here is your chance to own an incredible and highly upgraded home. Please contact your agent for more information and a private showing." "You deserve the best, so welcome to your new Paradise South! Offered turnkey furnished. This is truly an amazing & one of a kind luxury home. The owners spared no expense to make this one of the most beautiful & comfortable homes in the valley. Too many upgrades to list here, & photos can't show all the designer features. For the discerning owner looking for luxurious privacy the south facing back yard has lots of outdoor living space w/custom touches only found in million dollar homes. Owners added a beautiful covered portico for comfortable outdoor living next to the custom salt water pebble pool, cascading spa, & waterfall. Pool has both passive solar & gas heater. Home boasts side parking area for extra vehicles plus the epoxy floored 3 car garage. The interior will take your breath away! An entertainers delight w/custom kitchen & island. Tumbled stone floor laid in beautiful Versailles pattern through most of the home, custom bathrooms, & more!" "New Price for this spotless and immaculate 4056 SF Pool Home. 4 bedrooms including an attached casita sitting on almost half an acre. A lavish double door leading into a spacious open concept plan that includes a Great Room, Formal Dining Room with high ceiling, a Formal Living Room & Office. The kitchen has stainless steel appliances, Cherry Wood cabinets and a pantry. The Great room combines living and entertaining with a billiard table, a bar with 2 wine cabinets /coolers for red and white wine, a fireplace, picture windows looking unto the pool the backyard and fabulous mountain views. Perfect home inside & outside for entertaining. Tiled back yard with Salt Water pebble tech pool& spa, built in BBQ and fire pit, automated awnings and sun shade curtains, and mister system for the hot days. The Master bedroom has a cherry wood walk in closet , the master bath has his and hers vanities and sinks. 2 car garage & RV PARKING. A MUST See. Call for any Questions and to View." "This spacious home features 4 bedrooms (including casita), 5.5 bathrooms and is located in Madison Estates, an enclave of affordable luxury homes, where all homes are on half acre lots. In addition, there is also an enormous bonus room with a private covered balcony and private bath. Enter this meticulously maintained home into the bright open living and dining area with soaring ceiling and views of the pool and spa. 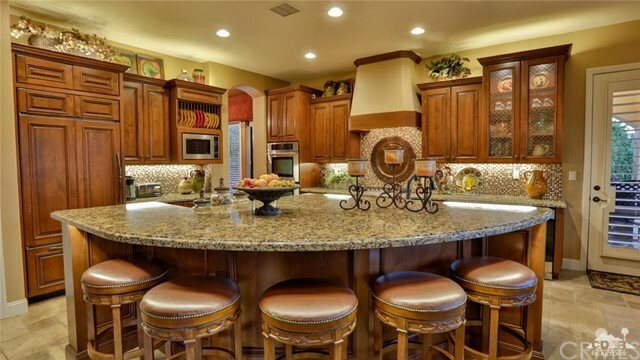 The gourmet kitchen features upscale stainless-steel appliances, granite slab counter tops and a large island bar. The master bedroom suite features dual vanities, soaking tub, shower and walk-in closet. 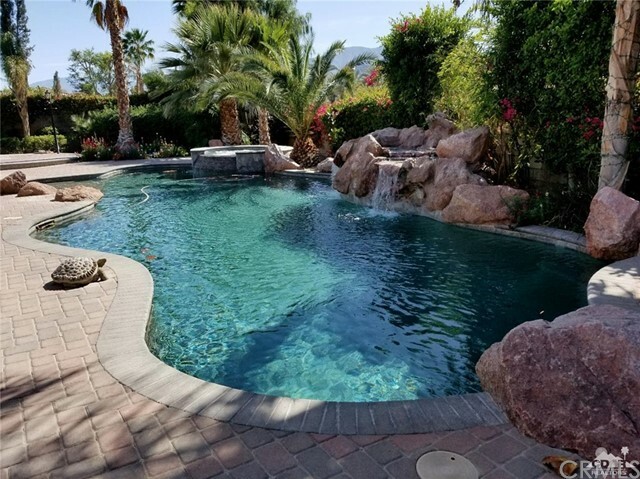 The mature backyard, with amazing mountain views, is perfect for outdoor entertaining and the ultimate desert lifestyle and includes a fire pit for cool winter evenings, a Pebble Tec pool and spa. 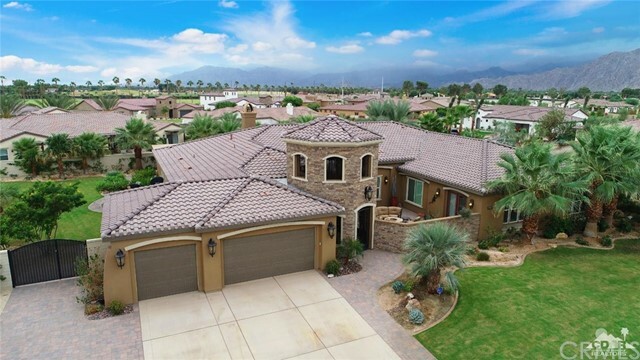 Madison estates is close to the Empire Polo Fields, with its world-renowned events and close to hiking and biking trails plus shopping and dining in charming Old Town La Quinta." "This stunning, newly remodeled and fully furnished 5-bedroom, 4.5-bath two story home is perfect for a large or growing family. ?The home displays a generous setback and as you enter you notice the wonderful scale and open-air feel provided by the high ceilings and large windows. From the grand staircase, you can view the formal dining room and den with grand fireplace and decorated tastefully with rustic chandeliers. ?The impressive chef s kitchen is adorned with stainless steel appliances, granite countertops & a double kitchen island. Each of the 5-bedrooms are beautifully appointed with luxurious linens, LED TVs and en-suite bathrooms. The oversized master suite features a cal king bed, large HDTV, ceiling fan, seating area with a queen sleeper sofa and french doors to a beautiful private balcony. The master bath has an oversize tiled shower, soaking tub with panoramic mountain views, separate commode, dual vanities and a huge walk in closet. Outside offers true desert resort living w/saltwater pool & spa, waterfall spillway & oversized tanning shelf. Host dinner al fresco under the covered patio or challenge family and friends to a game of ping pong or basketball at your very own half court in the backyard. This home is equipped with Smart Home tech for the pool, keyless entry, thermostats, light switches, smoke detectors and more. The Orchard is a fabulous and safe gated community with large lots, large homes and tremendous potential for growth." 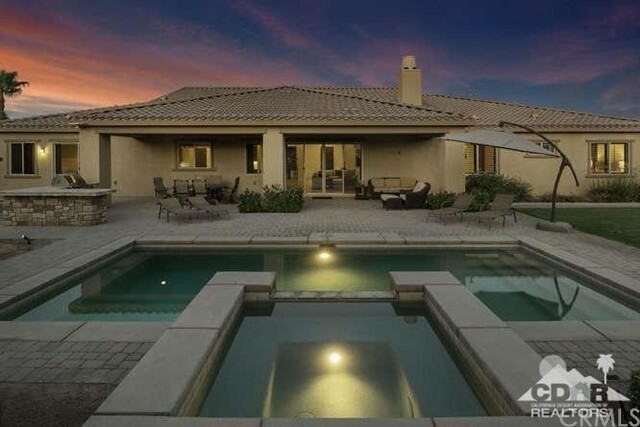 "Welcome home to this highly upgraded pool home in the gated community of Desert River Estates. Located on a prime, interior lot, this home has it all. Your friends & family are sure to enjoy the entertainer's back yard, relaxing around the pool & spa, grilling on the built-in BBQ, or sitting around the fire pit having a libation. The landscaping & lighting are state of the art. Inside the Chef's kitchen opens up to the great room where there is room for the whole gang. Light & bright, with plenty of storage, granite, stainless appliances & views to the outside. It's where you'll want to be. The handsome, spacious master has large windows to take in the view & direct access to the patio. The bath features travertine, double vanities & lots of natural light. The three guest rooms are just the right size. 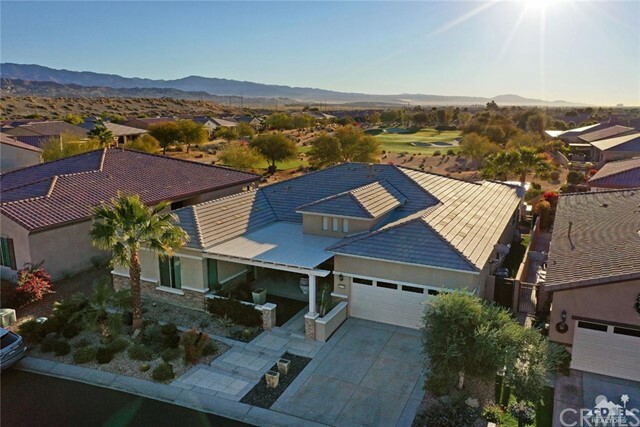 Great location close to world-class golf, tennis, dining, shopping, hiking, biking, theaters, and all that the desert has to offer. Low HOA's & front landscaping is included." "PROBATE SALE THAT WILL REQUIRE COURT APPROVAL AND A 5% INITIAL DEPOSIT..... Located near the corner of Jackson and 50th street, this fantastic buy in within walking distance to the world famous Coachella/Stagecoach Music festivals. Feature include: Single family home that is 2,307 SF with 3 bedrooms and 3 bathrooms and a 3 car garage. Their are Several Industrial buildings located on the property, 5 all flat acres that are perfect for development, Main road frontage onto Jackson street and an additional 1 bedroom house that may not be permitted. The driveway is an easement that is shared with the neighbor on the right. All buyers should check with the city and county regarding zoning and possible usage." "This 3073 SF home is an Entertainer's Dream'', ideal for that discriminating buyer who appreciates quality and expects perfection. The seller worked closely with an interior designer choosing new home construction upgrades and later blending the custom furnishings into this $1,000,000 Socialite plan. They created an incomparable, one of a kind home with a look of understated elegance that is flawless! The high quality is evident throughout; e.g. the drapes were $50,000. The gorgeous formal dining room has a See-Thru Fireplace, Coffered Ceiling, Crown Molding and unique square dining table that lends itself to intimate conversation for eight. The bright & cheerful attached casita is a splendid second master suite. The main suite has His and Her closets and patio access. The East facing patio has a spectacular pool, Jacuzzi Spa, BBQ Island and incredible views of the golf course. The garage has tankless hot water, energy package, sidewalk from driveway to patio. Much more to see & enjoy!" 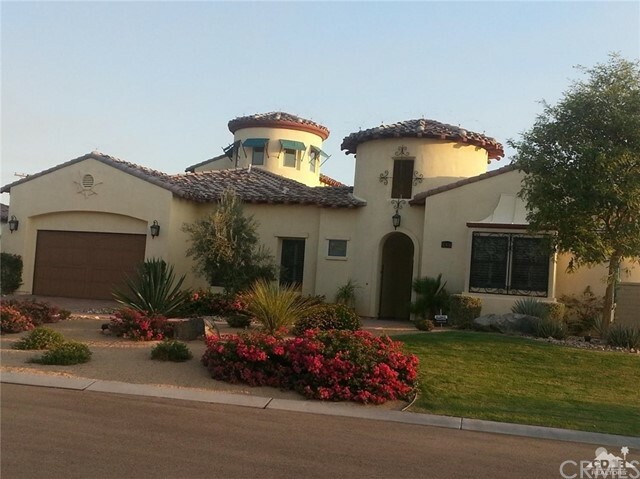 "Desert River Estates-Amazing like new professionally decorated home!Over 4000 sq. ft. with 4 bedrooms plus office,3 baths plus powder bath,formal living room,huge family room,formal dining room and large 2 car garage.Beautiful lushly landscaped almost 1/2 ace lot.This home features a gated courtyard as you enter to a spacious great room with fireplace.Right inside the front door is a formal living room.On the left is a room that can be used as formal dining room or office or den.The kitchen has upgraded cabinets,pantry,granite with stainless appliances.The master suite is large with a beautiful master bath with large soaking tub and walk in shower plus a gigantic walk in closet. 2 more bedrooms and bath are just down the hall from the master suite.There is an office area.The extra roomy 4th bedroom is an attached casita with outside entrance and private bath. The 3rd car garage is converted to a bonus room.The side yard has a gate to a large cement pad for extra vehicles or play area."